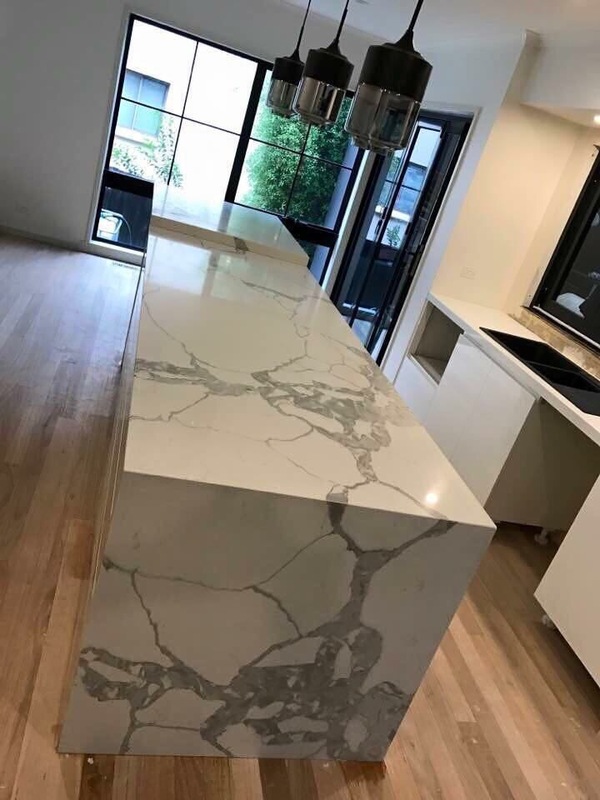 If you are in the search for a “natural looking” Quartz worktop instead of the more uniform patterns and colours on offer, then Calacatta Quartz is an option to consider. 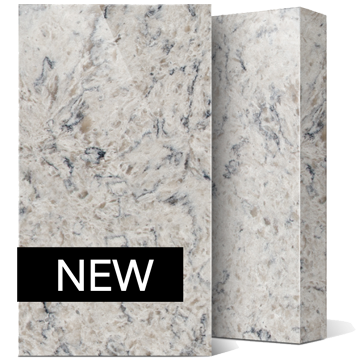  With its subtle white base and striking grey veining throughout; this engineered stone imitates its natural marble counterpart without any of the potential pitfalls. 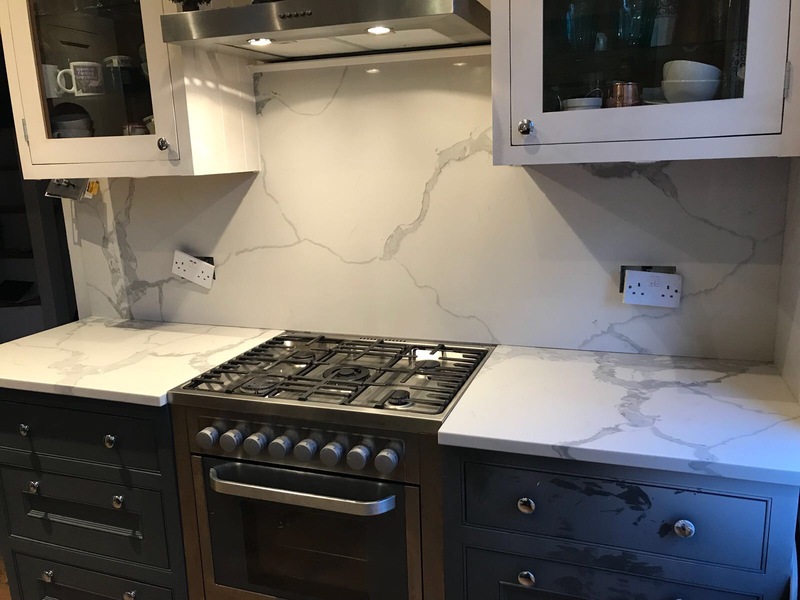 Compared to a natural marble worktops, Quartz worktops are durable, scratch resistant and very easy to maintain, making them a perfect choice for todays busy lifestyles. 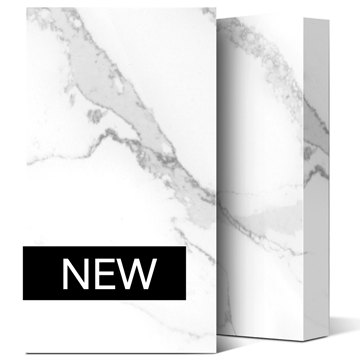 Calacatta Quartz is similar in appearance to Calacatta marble in that the natural veining takes centre stage on a subtle white background, allowing us to appreciate the true beauty and variations within natural stone. 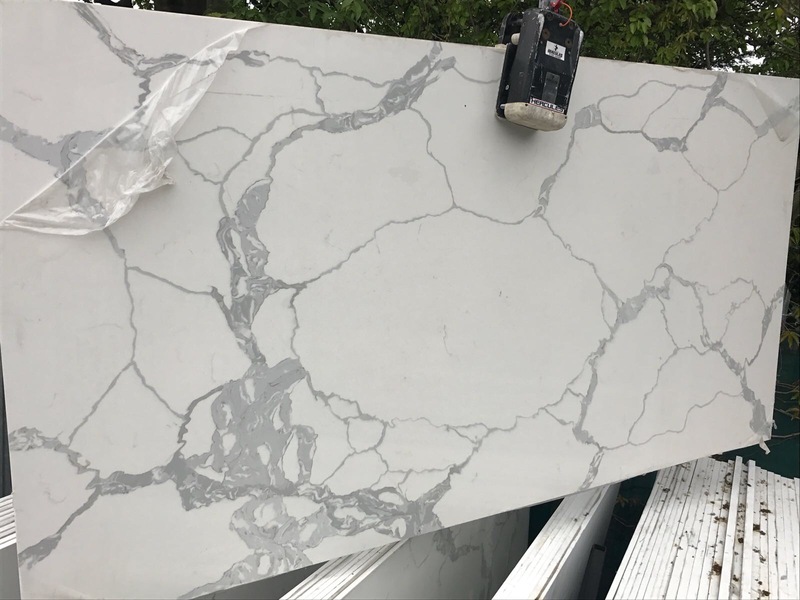 However, we can now enjoy these benefits without any of the maintenance involved with sealing and caring for natural stone. 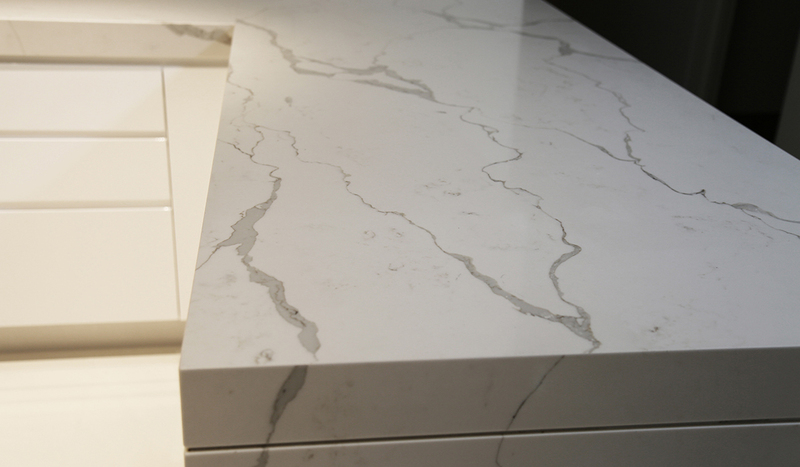 Click here to learn more about what makes Quartz Worktops so special! 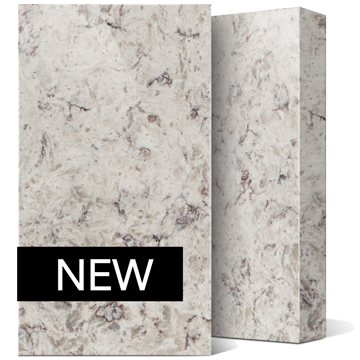 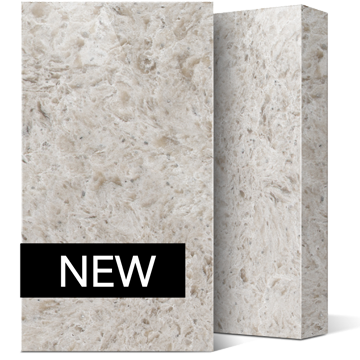 This most luxurious stone is perfect for an array of modern and traditional kitchen and bathroom styles and can help add a touch of elegant character to your project. 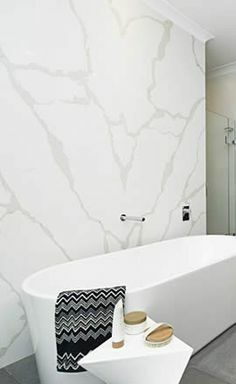 Pictures show here are for illustrative purposes only. 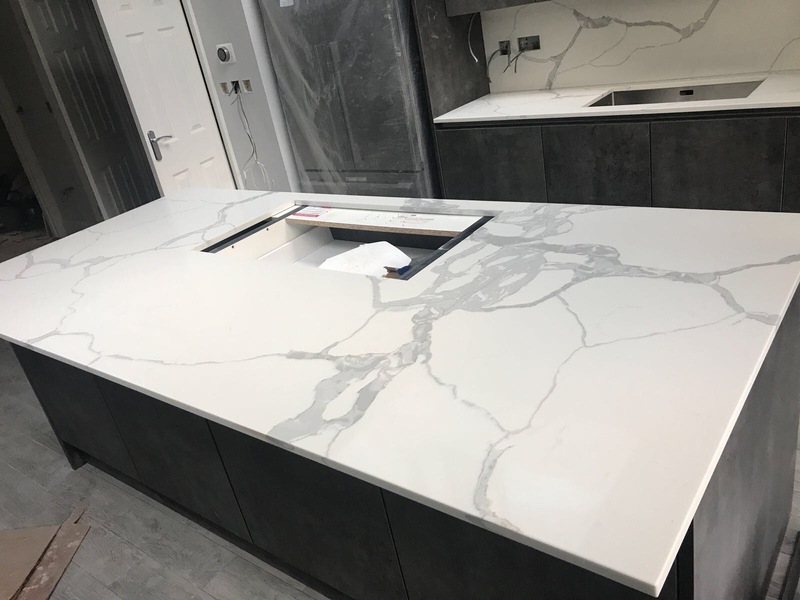 If you would like to view a free sample of this quartz worktop please call us on 0121 630 2251 or contact us by completing our online enquiry form.